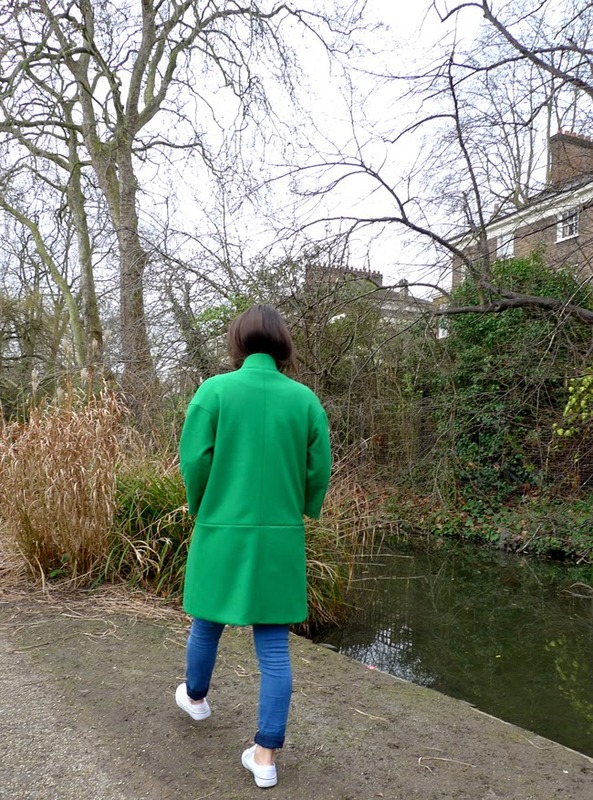 Every year about this time I become obsessed with green, just as thousands of versions of the gorgeous shade start to dot the urban landscape...talk about colour therapy. You might know I also became obsessed with coats this past winter, and this 'coatigan' is the last in my series. I'm not totally satisfied with this one so I'll try it again at some point -- until then I'm making dresses! Love this! I'm glad I'm not the only person to follow strangers to look at the seam detail on their clothing. Yeah, I do that following strangers thing too. This is absolutely stunning. I love it. The colour, the shape, the pockets. Everything! I love green at any time of the year, and this "coatigan" is gorgeous! 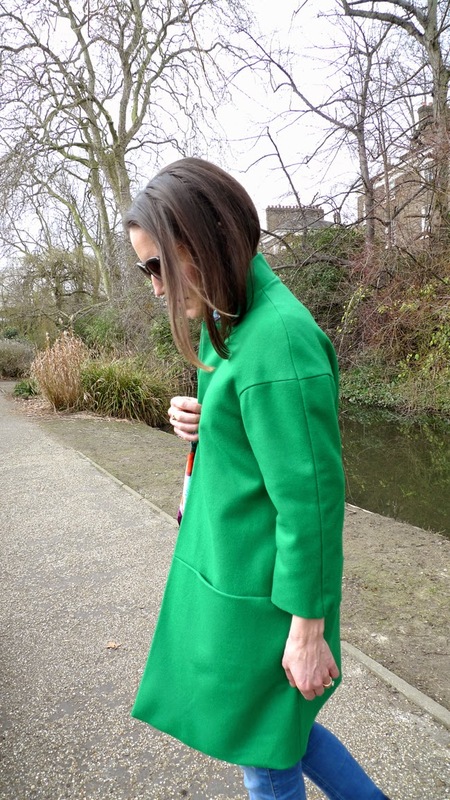 Maybe I should do something about the fitting issues I have with my RTW green coat? 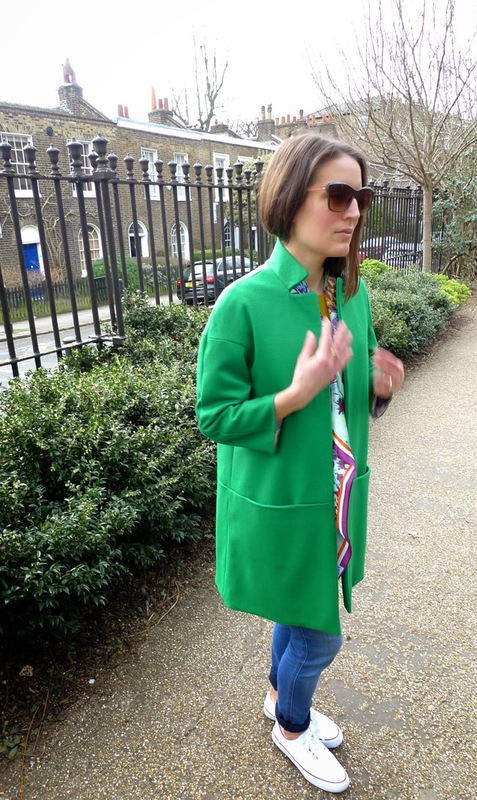 I love everything about this coat - the colour, the details, the drop shoulders, in-seam pockets....YUM! I really like the style -- the drop shoulder is such a great look. 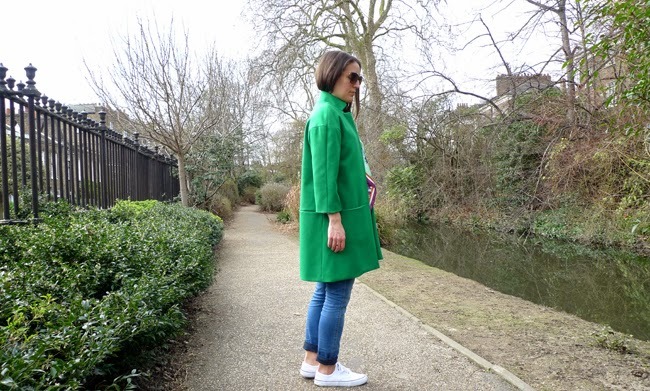 Green looks terrible on me so it is so nice to see it work on others! This is BEAUTIFUL! I love the clean, modern cut, and the green is just perfect! Love love love!!! i want to eat this gorgeous coat. I love the bright color! The cut is nice and clean, too. I keep on buying black coats, but this reminds me that color is good! The colour is glorious! I've noticed a lot of green around lately, quite a few things I've made so far this year are green, as is one of my next planned outfits. It's so easy to get obsessed by a particular colour. Can't say I've followed strangers to look at their clothes but I have pulled out pen and paper to sketch down their outfits if I want to replicate them! OMG I love love that coat! I know this is really not the season, but I want one! Do you have a pattern for it? Thanks Nat! Not yet but hopefully in the autumn!